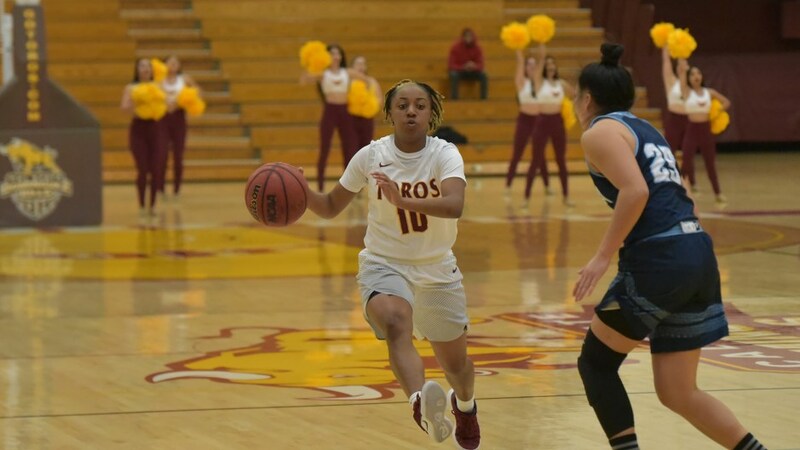 The CSUDH women’s basketball team celebrated homecoming Saturday with an 80-63 defeat of cross-town rival CSULA at home in front of a boisterous crowd of about 400. The Toros avenged a 75-65 road loss Dec. 19 to the Golden Eagles, and won their second conference game in a row. The team had lost seven of its last nine CCAA games. With the victory, the Toros are 9-9 overall and 5-7 in conference. As she has done all season, Nautica Morrow played a huge role for the Toros. Morrow, who leads the team with a 14.7 scoring average, scored 24 points along with contributing even assists and five rebounds. “It is so important for me as a player to use my defense, steal skills and also to be quick on my feet while on the court,” she said. Freshman Lea Anderson also made her presence felt, with 18 points and seven rebounds. The Toros go on the roa Jan. 31 and Feb. 2 against Sonoma State and San Francisco State, before returning home Feb. 7 against Cal State Monterey Bay. Finally an article that gets to the point, concise and accurate.